Discussion in 'Pokémon Role Play' started by Rex, Sep 14, 2010. Dr. James Kirk looked out at the giant locomotive that was to take him into Fiore. It was an old 4-6-4 Hudson Steam Locomotive, in its prime, the train had been one of the finest passenger trains around. It had been donated to run the line between Phenac City and Ringtown. He was here on official Magma business, along with a young recruit that his ‘friend’ Isaac had found, named Tony. Kirk doubted that Maxie would consider the teenager for the job, but who knew, Isaac claimed he had influence on the man. The doctor was wearing a casual outfit, as if he was on a vacation. This consisted of brown jeans, black sneakers, a black t-shirt, a yellow hoodie, and sunglasses. His normally well kept brown hair was a bit messy, though his skin had had little time in the sun thanks to all the large buildings around the city. To contrast, Tony didn’t seem to tan at all, though his own black hair was just as messy as Kirk’s. The boy wore a pair of black jeans, gray sneakers, and a black jacket that partially concealed a torn gray t-shirt. The pants and jacket were a bit big on him, the former being held on by a belt and the latter nearly concealing his hands. The two of them both had a Pokemon present beside them. Kirk had his Shiny Smeargle, named Sven, and Tony had his sole Pokemon, a Buizel named Seth. Kirk had a suitcase in each hand, holding the things that he had taken with him to Phenac City. Tony only had the clothes on his back, which had replaced the ones Isaac had brought him in. Kirk honestly suspected Isaac picked the child up off the road, though for what reason the Doctor did not know. However, there was no time to think of that now, the two of them had to get moving or they would miss their train. Kirk quickly led Tony onto the platform, entering the train shortly after a man with an Infernape. The two of them quickly took a seat in the place their ticket’s dictated, and the train set off. The seats in their car were fairly wide, able to easily sit both trainers and their Pokemon with room to spare. Suddenly, there was a tap on his shoulder, and when Kirk turned to look, he saw the man with the Infernape again. The man motioned to the seat across from them, where Kirk had laid his suitcases. “That’s my seat,” the man commented, speaking with a noticeable Russian accent. Kirk nodded, and pulled the suitcases off seat across from him, placing them instead under his chair. The man nodded thanks, and took a seat, his Infernape sitting down right next to him. Now that Kirk could get a better look at him, he saw that the man was nearly as pale as Tony was, with silver hair that nearly covered his glasses. He wore a white jacket, blue jeans, white sneakers, and a red scarf around his neck. He looked kind of small, and was pretty thin. After a few minutes of sitting in silence, the man reached out his hand. “Hi, I’m Spence. Spencer Rain,” the man grinned. “James Kirk,” the doctor nodded, before extending his own hand and shaking the man’s. For such a frail looking man, Spencer had a strong grip. Tony didn’t seem to notice anyone around him, simply staring out the window. However, his Buizel seemed to take notice of the Infernape, which in fact seemed to recognize him as well. Quite the oddity or perhaps just a coincidence? Isaac had given Tony the Buizel, but Kirk didn’t know where Isaac had gotten the Pokemon. “Our Pokemon act like they know each other,” Spencer smiled, motioning first to his Infernape, then to Seth. 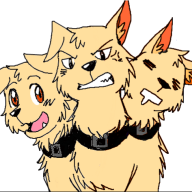 “This is Sven, Seth, and his master, Tony,” Kirk responded, motioning to the Smeargle, Buizel, and human in turn. The conversation continued for a while, to the point that even Seth and Mikhail seemed to be speaking to each other. Outside, the scenery flew by, seeming to keep both Tony and Sven mesmerized. The train made a quick stop in Gateon Port, before continuing on its way to Ringtown. Everything was going good, when suddenly a group a people in black rushed through the car wielding guns. One stopped in their car, armed with a shotgun. The man aimed the weapon and shouted for everyone to remain in their seats, while his companions continued on through the train. After a few minutes, the train came to a screeching halt. Soon, it was moving again, down a side track instead of heading the normal way. The man in black who had remained in their car shouted something about a person of importance on the train, and that as soon as they could find him they would leave the train and everyone on it alone. Then he started to walk up and down the aisle, checking every face. When he passed them, Spencer dug into his jacket pocket, pulling out a Luxury Ball. The man released the Pokemon inside, attracting the attention of the shotgun wielding hijacker. However, when he turned, there was no Pokemon near them other then the ones that had been around since the beginning. He didn’t notice the Dusknoir that had appeared behind him until the Pokemon’s shadow fell on him. He spun around, but it was already too late. “Imprison him Hades,” Spencer commanded. The Dusknoir did so, stopping the man from moving. At least until a minute later, when he passed out from shock, and hit the floor of the car. The noise attracted his buddy in the next car, which Mikhail quickly Fire Punched into submission. Spencer stood, and returned the Dusknoir to its Luxury Ball. Then he went over to the man who had passed out from shock, and grabbed his shotgun. The Infernape, meanwhile, grabbed the AK-47 he man he had beaten had dropped and handed it to Kirk. “Would you be willing to help me retake this train?” Spencer asked. OoC: Any applicants to this RP can send their first post to me via PM, do not post until I sent a PM confirming you. Cynthia checked her watch as she ran panting towards the train station. Beside her, Glen loped forwards with easy grace, not going any faster than she was. After all, it would be rather useless if only Glen turned up in Ringtown because while Cynthia could understand what he meant – sorta -, nobody else had been around him for as long as she had, and so he wouldn’t be understood, nor would they understand him. Cynthia and Glen worked so much better as a team, rather than alone. Cynthia was tall for a girl – which meant most guys were taller than her – with tanned skin from constantly being in the sun. She had light green eyes and long blonde hair with the ends tipped black and green. Being a Pokemon Ranger meant that she had to be fit, so she’d trained herself by running through the Sekra Range until she could run all the way up to the Fiore Temple without collapsing. She was still in uniform – The Wintown uniform – so was easily identifiable as a Ranger. Glen was about four feet high, with big blue ears, a black mane and fur all over his body. He had a star shaped point to the end of his tail, coloured gold. There were lighter blue markings in his fur, along with some gold on his forelegs. His eyes were a more vivid gold than that on the rest of his body, and the ‘whites’ of his eyes were a deep red. For those of you who haven’t figured it out yet, Glen was a Luxray, and a rather large, powerful looking one at that. While Luxray’s aren’t exactly native to Fiore, Cynthia had been born in Oblivia, and had started her work as a Ranger there, in Naname Village. She’d met Glen on a mission to Rauin Island, to calm down a rampaging Drapion. Up ahead, Cynthia could see a Steam Train that had stopped right outside of the station. She breathed a sigh of relief, but didn’t slow her pace. You never know, it could be about to leave. She dashed in and waved her ticket in the conductors face. “You cut that a bit close.” He commented. “Yeah.” Panted Cynthia. “Got distracted.” There was some really cool things in some of the shops, things she’d never seen before. And she’d thought she’d seen a strange, dark purple Grimer with white eyes. But it had disappeared faster than she’d blinked, and even with Glen’s eyes, they couldn’t find it again. Maybe it belonged to a trainer? Cynthia and Glen boarded the train just as the conductor shut the door behind them. The train whistled, groaned and started into motion. The conductor glanced at her again. Cynthia blinked. Guess he hadn’t heard about Ranger’s uniforms. And it was true that this probably wasn’t the best thing to wear here – sure, in cold Wintown it was perfect, kept you warm without you overheating, but here in Orre… not so good. She’d rolled her sleeves up and pushed her hood back, to cool herself down. “Oh.” Was all had time to say, for a security guard came up to them and promptly told her to find her seat. Cynthia and Glen headed down the isle, the former keep one hand out to keep her balance as she headed down, looking for her seat. “14… 15… 16… Bingo!” She exclaimed upon finding her seat. The row was empty, which was lucky for Glen took up one and a half of the two seats… when he was curled up. Glen took his position, leaving Cynthia to squeeze into the rest of the room. As she was getting comfortable, her phone rang. It was Chris. “Hey Chris.” She said into it. “Hello there Cynthia.” Came the voice from the other end of the line. He’d said more than one word. Elita mustn’t be around. “You are on the train right?” Cynthia had a habit of being late. “It sounds sort of like a Shadow Pokemon.” Chris said after a moment of silence. “I’m not that sure exactly what they are, but I think they were created by an organisation in Orre. I’ll look it up for you…” He trailed off for a moment. “Elita.” He said as a greeting to someone where he was. Cynthia smiled to herself. “Goodbye.” He said, ending the conversation. Cynthia laughed quietly to herself as she put her phone away. Glen opened on lazy golden eye to glance at her, before shutting it and falling asleep again. The train sped though the landscape, quite quickly for an old train. Cynthia was content just to watch the land pass by, while stroking Glen absentmindedly. They quickly stopped in Gateon Port for a moment, allowing some people to get on and off, before speeding off again. The loss of the trains movement woke Glen, who stretched and then sat up on the seat beside her. The two smiled at each other knowingly, then Glen froze. His hackles rose and a deep, gutted snarl ripped out of his throat. His eyes glowed like molten gold. Something was wrong. Cynthia opened her mouth to ask Glen what the matter was when a group of people dressed in black and carrying guns burst into the car. A person near the front screamed in terror. One of these people – a dark haired woman – pointed her gun straight at the person who’d screamed. “I suggest you be quiet Missy.” It was barely more than a whisper, but everyone heard it. “Otherwise I will have to find a way to make you quiet hmm?” She waved the gun in the girls face, leaving no doubt about what her way of ‘making her quiet’ was. “I need to find a person of high importance.” She said, raising her voice. “They know who they are. The sooner we find them, the sooner we leave.” The other people in black headed off into other cars, probably to search for this VIP they were looking for. The woman started walking down the isle, examining everyone’s face. Glen blinked once then focused his eyes on the woman while Cynthia reached into her bag and gripped a long piece of rope she had in her bag, normally for hiking. But in this situation, it was going to be used differently. Glen watched as the woman came closer and closer before she was right in his line of fire. Faster than you could blink, he sent a jolt of electricity straight at her. The woman went rigid, electricity sparking around her body. Gravity took hold and she started to fall. Cynthia leapt up and caught her before she hit the ground, the quietly lowered her to the floor, before tying her up with the rope. She then reached for her phone to call Chris. “Rats.” She cursed to herself. “No reception.” She turned to look at Glen. They didn’t need to say anything. They knew each other far too well. As their duty as Rangers and for the sake of their well being, they knew they would try to help out every innocent person here. Dean Hale had watched the steam train arrive earlier, and had boarded early with his newest team member, a female Riolu named Cleo. The two sat in a mostly empty car, and Dean had been staring out of the window for the past fifteen minutes or so. The young man’s dark red hair was combed into its usual style though slightly shorter than usual after a haircut. His usual black windbreaker had been stuffed into his backpack, revealing a grey shirt with black sleeves and shoulders. Cleo had long since stolen his mp3 player, and was hopping around in the empty back seats. Dean, bored of sitting around, stood, and grabbed Cleo mid jump, surprising the little Pokemon until he placed her on his shoulder. Dean began walking through the cars, noting a Luxray, Infernape, Buizel, and Smeargle also travelling with their partners. The young man stopped in the dining car, which contained a few tables and chairs. Dean took a seat, waiting for a waiter to appear. The young man noted a pair of odd looking men, both wearing black, and constantly checking the chairs next to them. A waiter arrived a couple of minutes after the train began moving, and Dean ordered a cup of coffee. The coffee arrived and the young man began sipping at it until the train came to a sudden stop. Dean left the coffee on the table and went to look out of the window. The steam train began to move again, taking a turn down a side track. Dean was about to turn when he felt the steel of a shotgun barrel pressing into his shoulders. Dean held stock still until he heard the two men stiffen and drop to the floor. Cleo stood on the table behind them, Aura still smoking from her palms. The two lay paralyzed on the floor, and Dean grabbed one of their sidearms, moving back through the cars until he heard voices, someone with a Russian accent saying “Would you be willing to help me retake this train?” Another voice answered in the affirmative as Dean entered the car, finding it inhabited by the people he had noticed travelling with their Pokemon.